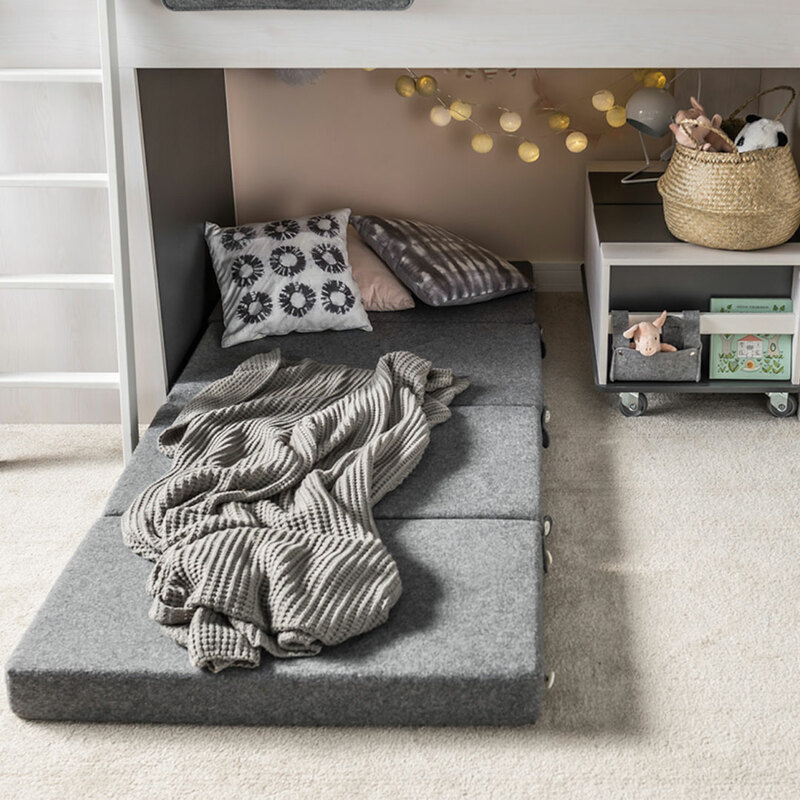 The marvellously versatile Nest Modular Mattress will make your child’s room the absolute coolest place to hang out! 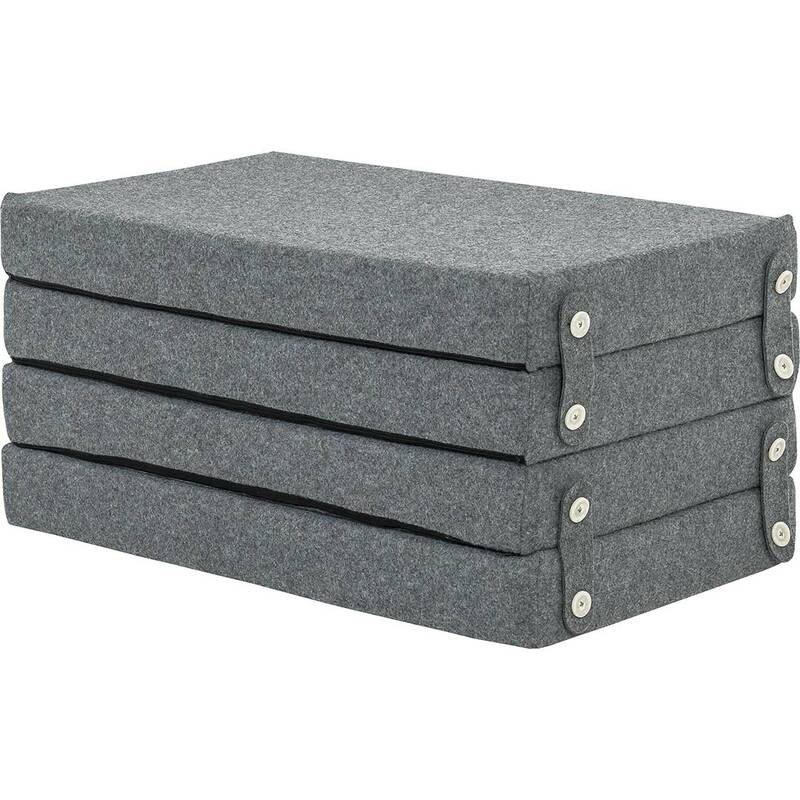 The smartly designed mattress consists of four thick high-quality foam cushions covered in durable and trendy grey felt. 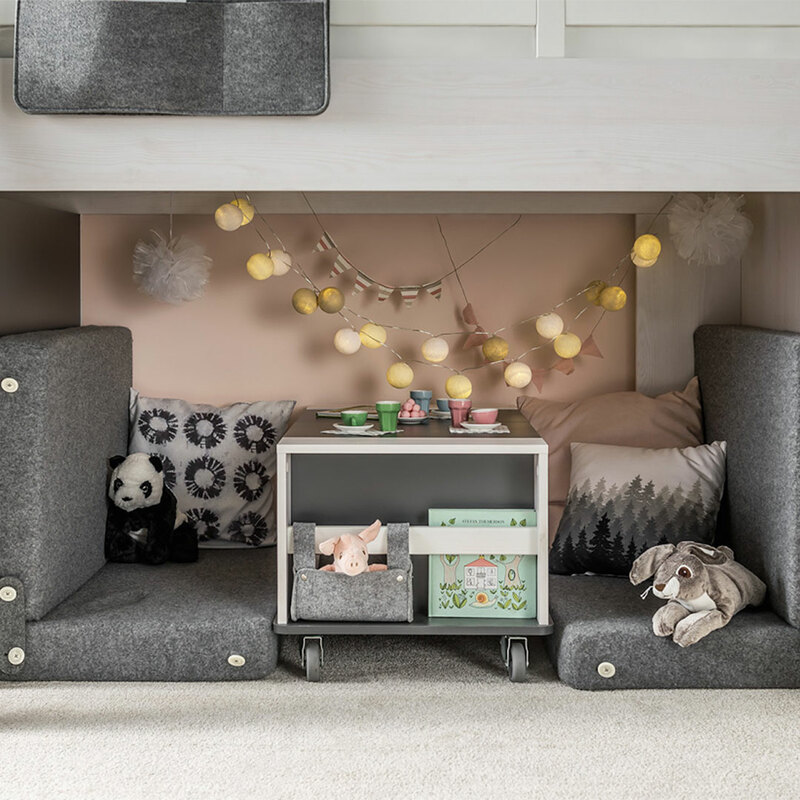 The four sections are attached to each other with large ivory buttons on thick felt strips, allowing for various configurations – a plain long mattress, two lounge seats with backrests, four scatter pillows or all on top of each other for convenient storage. The Nest Modular Mattress is also brilliant as a travel mattress with its durable finishes and multi-functionality.